(OAKLAND, CA) On Monday, May 14, the California Community Colleges Board of Governors awarded $1.1 million to Laney College to promote the institution’s work with formerly incarcerated adults. Laney was one of 11 community colleges to receive the Chancellor’s Higher Education Innovation Award which totals $20 million. The awards recognize innovations that improve student success and are sustainable and capable of being scaled across the state. Laney College’s Restoring Our Communities (ROC) is an academic program launched in October 2016 that provides support to formerly incarcerated adults seeking to obtain a higher education or career and technical training. ROC has innovated practices that not only contribute to the integrated goals of the college, but the larger goals of the city, county, and state. The program hires formerly incarcerated program leads to provide peer-to-peer support and mentoring. Program participants receive various services, including help navigating the admissions process, registering for classes, applying for financial aid, and provision of books, transportation, food assistance, and more. According to the 2015 “Senate Bill 105 Final Report” by the California Department of Finance, 96 percent of currently incarcerated individuals will be released back into the community. Coupled with California’s 2011 Public Safety Realignment Bill to help reduce the state prison population to 137.5 percent of designed capacity, local counties, such as Alameda are tasked with serving a growing reentry population, and to prevent recidivism though strategic services and partnerships. A review committee, comprised of the chancellor’s executive staff and board members recommended the awardees and award amounts to the chancellor and board of governors. Those applicants receiving the highest scores are recommended for an Innovation Award. 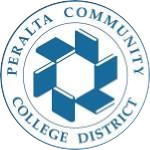 About Laney College: Laney is one of four colleges in the Peralta Community College District. Laney offers over 100 high-quality academic and career technical education programs to an estimated 12,000 students. To learn more about Laney College visit, Laney.edu.